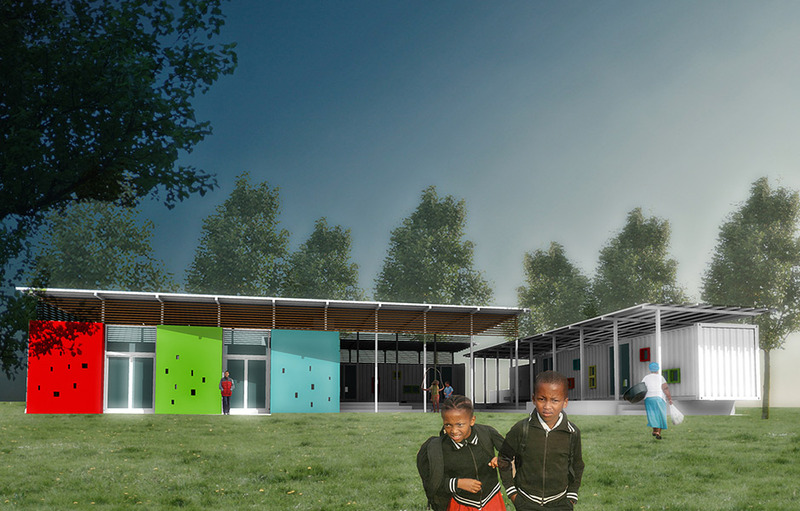 With sponsorship from Safmarine and CapeSpan, this project continues our exploration of using recycled containers to expand the existing classroom typology. 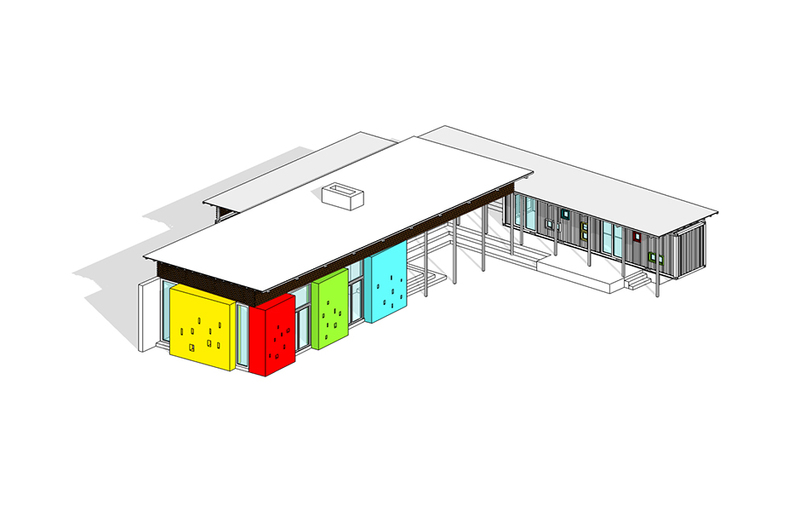 The Ceres Community Centre started out as a simple project to assist a small school with additional classrooms. But after engaging with local community stakeholders, we realised that the challenge for the project is not just about providing new classrooms. 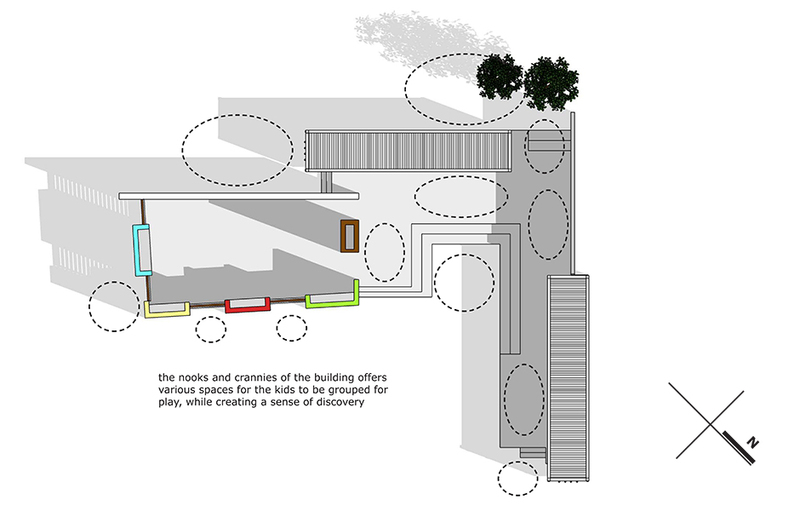 It is about finding a bold and unique vision to convince the community leaders – each from very different social backgrounds – how a building can be shared and used in harmony. The small rural school needed more classrooms. 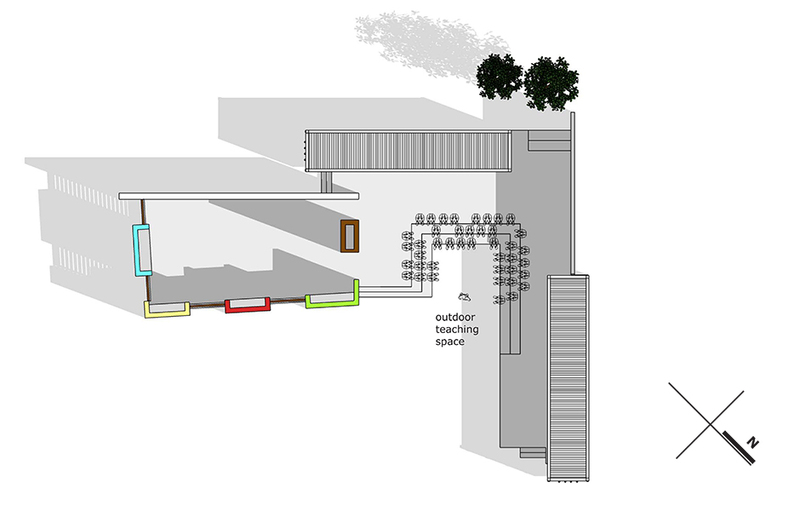 The local church, who is also the school’s landlord, wanted a bigger hall for its Sunday school activities. 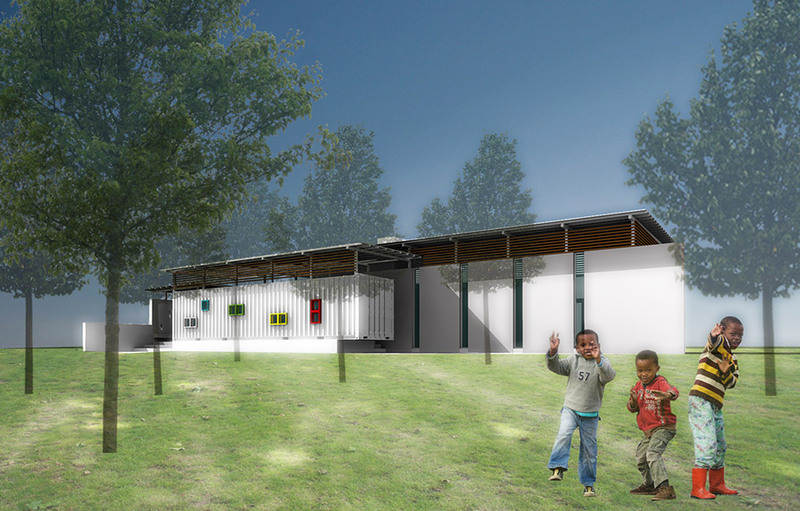 The local farmer, who would assist with the construction, wanted a crèche for his farmworkers. 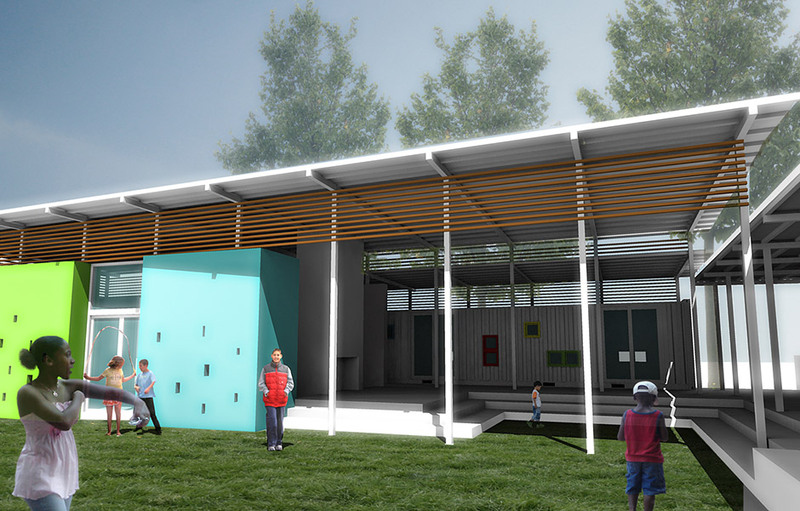 Within these different agendas, the only common ground was the shared view that the container classrooms donated would be temporary structures that would be removed once a bigger, more permanent brick building is built. After analysing the site carefully, we developed a strategy to use the containers to form a wind barrier. 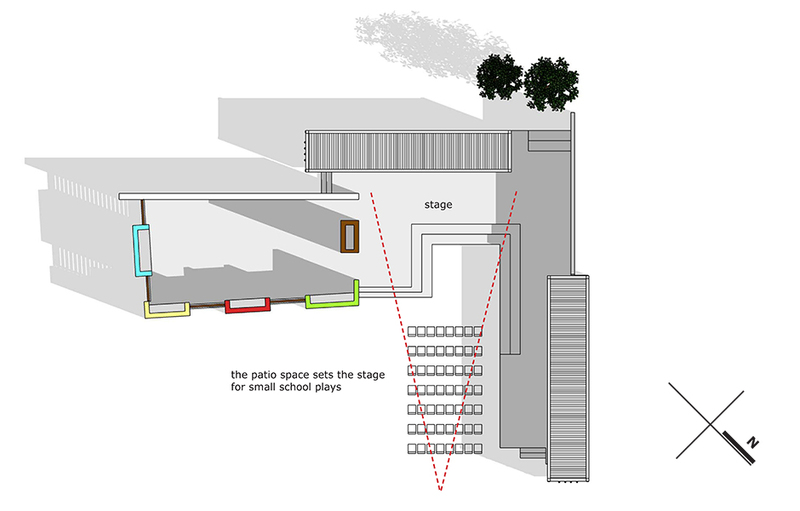 Together, the L-shaped container layout and the brick building formed a sheltered courtyard. 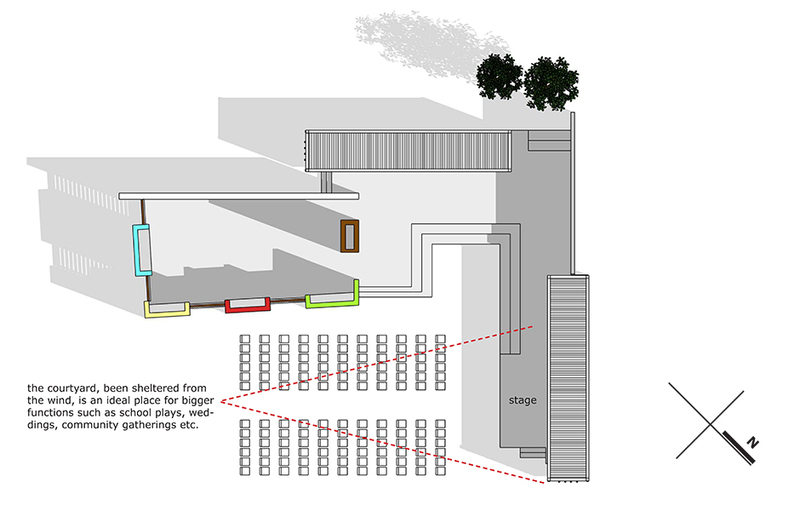 This configuration created an integrated, bigger and more adaptable community space that could host different events, uses and activities. 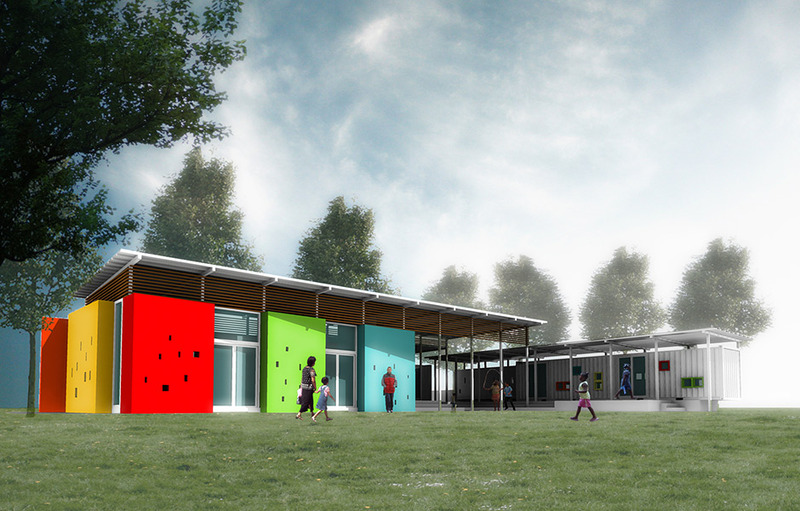 The solution helped the community leaders form a better understanding of the proposed vision and reach agreement that they would work together to shape the community centre. Click here to see more site images.